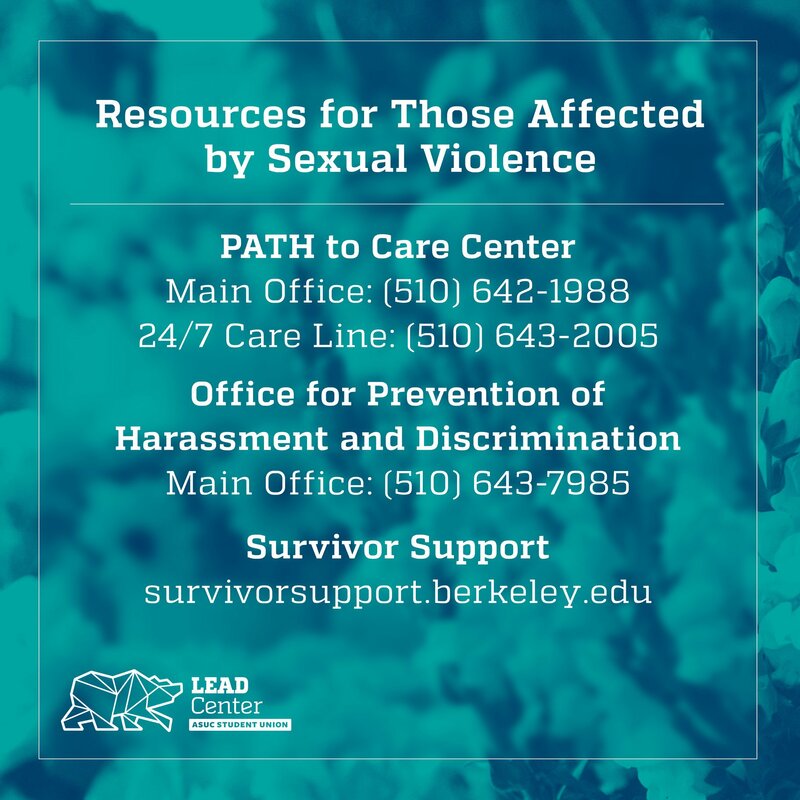 We would like all students and student leaders to know about the resources available to them through UC Berkeley for anyone who has been affected by sexual harassment and/or sexual violence. For a compressive list of resources available for yourself, your student organization, your friend, or someone you know please visit Survivor Support. There are many people here at UC Berkeley who are committed to helping students in need.